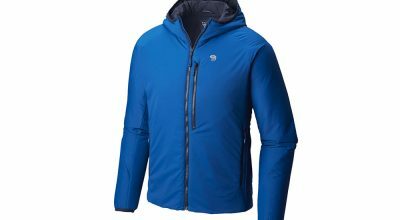 The Mountain Hardwear StretchDown DS Hooded Jacket is a down insulating layer that will work well in the mountains or on a cold day at the crag. Stuffed with 800-fill down, it weighs only 1 pound 3 ounces, but it still kept us plenty warm on a couple of test runs, both ice climbing and around town. 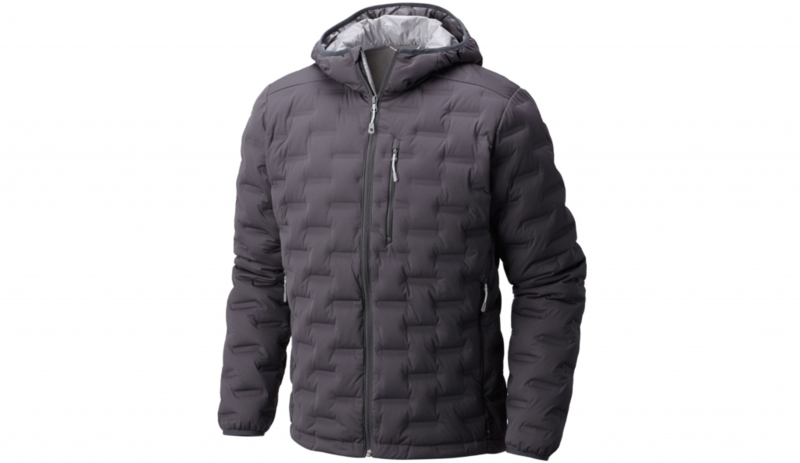 Mountain Hardwear got rid of the traditional baffle structure employed by most puffy jacket manufacturers in favor of a more geometric, grid-like pattern that “traps more warmth,” according to the company. The exterior is made of 100% polyester, and is stretchy and flexible. The hooded model has a hood that fits over a helmet, but a slightly cheaper, hoodless option is available as well. Another bonus: this jacket will get you noticed. 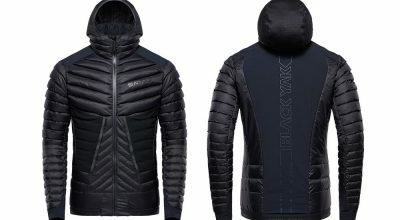 While that shouldn’t be your first concern with outdoor gear, it just so happens that the jacket’s main selling point performance-wise—the new baffle construction— also makes it an eye-catcher.